Get the gaskets you need in one package! 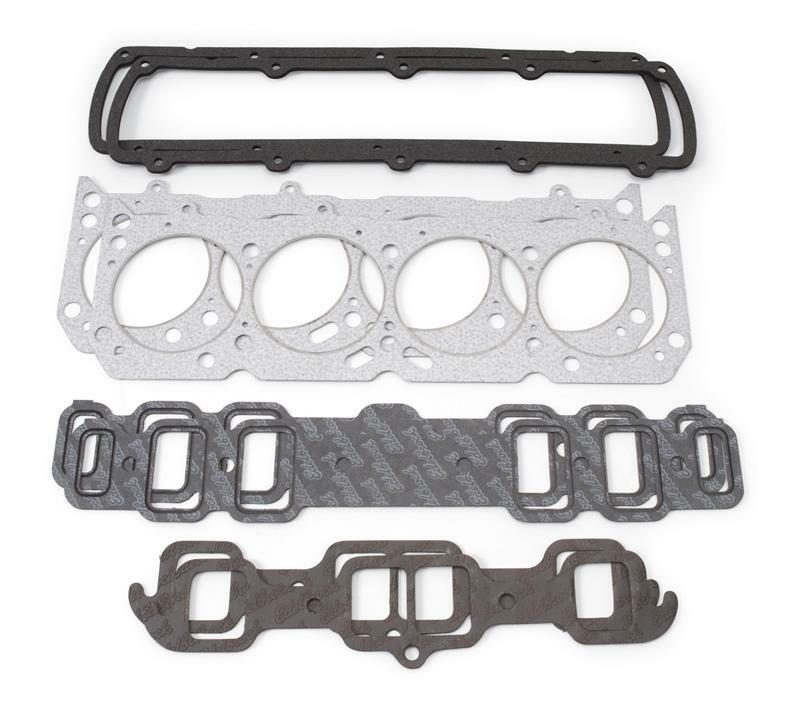 These complete sets include every gasket you need to install cylinder heads – head, intake, exhaust, valve cover, distributor, and thermostat housing gaskets. These Head Gaskets feature a tough, scuff-resistant silicone rubber coating that provides excellent sealing and conformability. They don’t require the engine to be warmed up in order to seal, and if the engine needs to be disassembled, they release without sticking. The silicone coating reduces fluid migration through the gasket, and leaks, if they occur, are easy to detect on the white material.